Wesbild is proud to again sponsor IMAGINE. The event is SHARE Family & Community Services annual fundraiser. Together, our community helps raise money for SHARE’s programs and services. 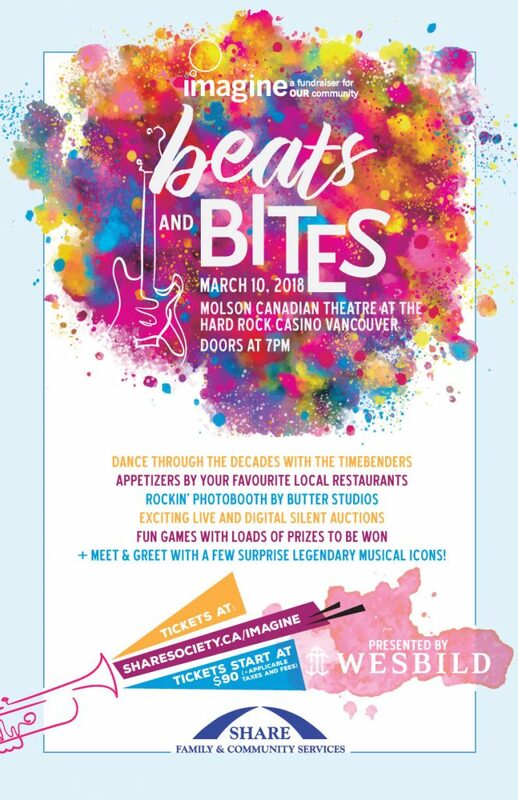 In 2018, IMAGINE brings the “BEATS & BITES!” Come out a lively night out in the Tri-Cities full of music, dancing, good food and fun! Don’t miss out on the party that benefits and strengthens our community!